Love Harry Potter, Lord of the Rings, Magic the Gathering, Munchkin, or Legend of Zelda? 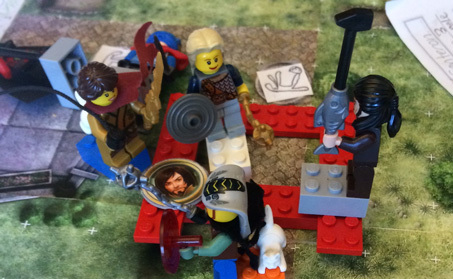 Gaming Together will unleash your child’s imagination in the real world of peer interaction. We play cooperative fantasy games in the style of Lord of the Rings or Harry Potter, with magic and monsters and quests. This is old-school, dice-and-paper—no screens, but your child will love it! Custom summer camps for your child & their friends! You choose the length and hours! Customized for your child and a small group of their friends or classmates (maximum 5 participants). Gaming Together is more than just fun time—we help kids work together on the social skills they need to make and keep friends, handle conflict, participate in conversations, and enjoy playing in a chaotic group of peers. 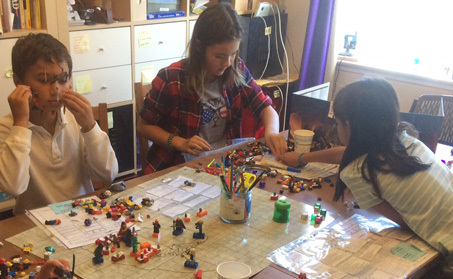 Published studies have shown that games such as Dungeons & Dragons improve social skills and feelings of connectedness. Learn more. Our participants describe their camp as the best part of their summer. Read what they have to say.